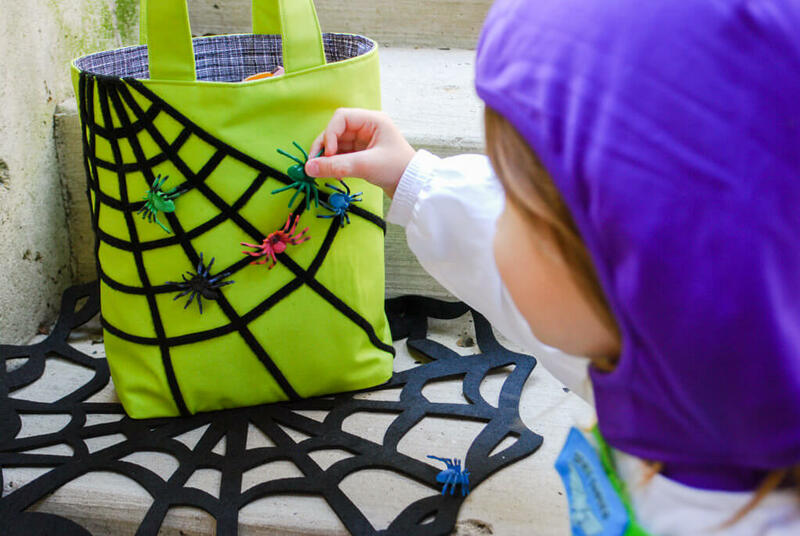 Here’s a spooky DIY Halloween trick or treat bag free pattern with ‘sticky’ spiderwebs and creepy spiders that can move and crawl around. Eek! 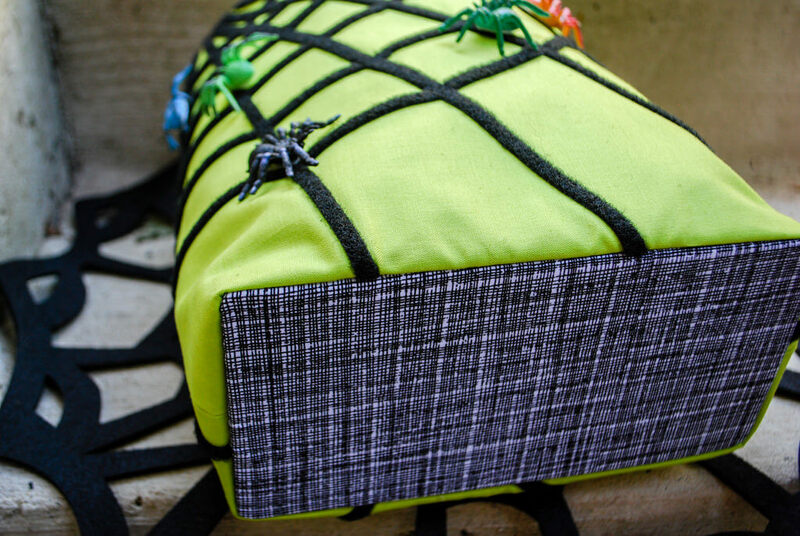 …and the spiders have a bit of VELCRO® Brand Sticky Back fasteners on their backs to attach them to the trick-or-treat bag. 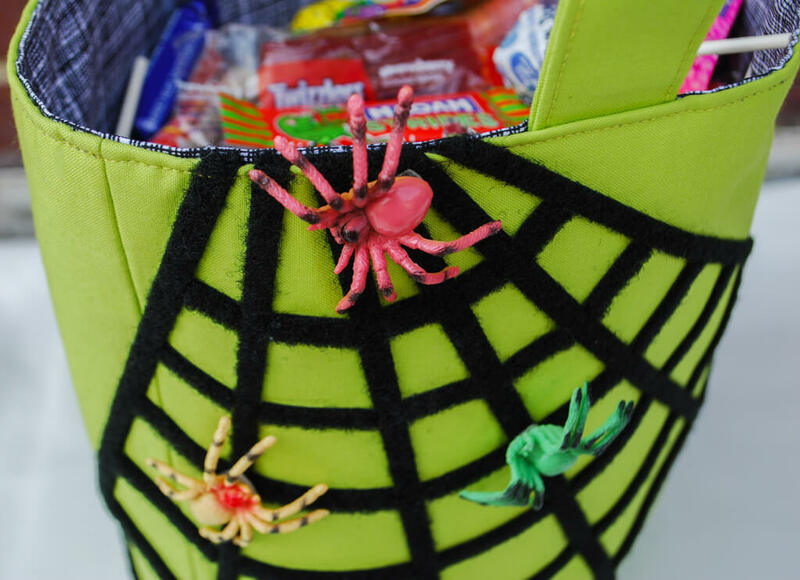 I’m kind of obsessed with our Halloween candy bowl with painted spiderwebs, so for Elise’s DIY trick-or-treat bag I riffed on the idea to make something interactive for the kids to play with while they collect treats. 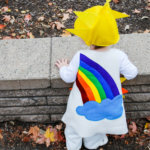 I can barely contain how much I love this free DIY trick or treat bag pattern. 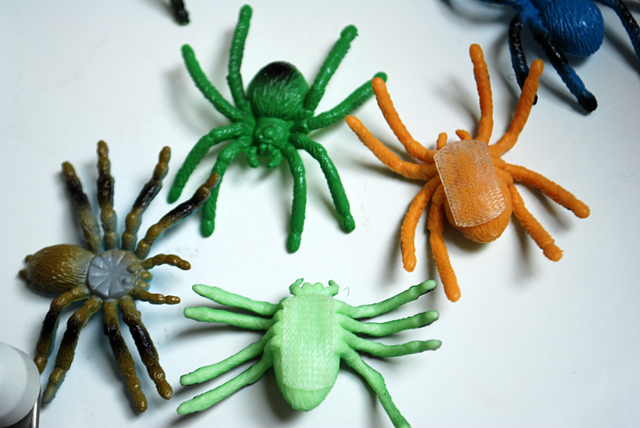 It is crazy fun to move the spiders around! 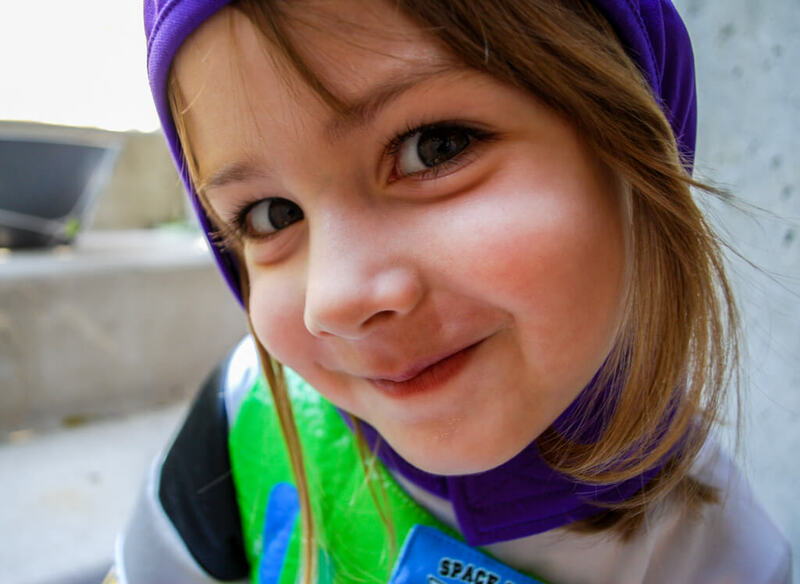 Luckily, my partner-in-crime, Buzz Lightyear, wholeheartedly agrees. 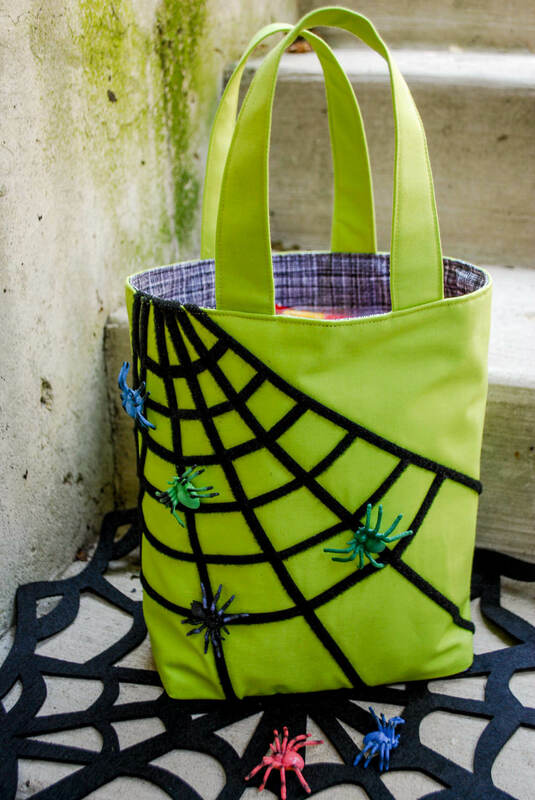 The DIY trick or treat bag free pattern has a hard bottom so that your trick-or-treaters can set their bags on the ground without the bag tipping over and spilling candy. 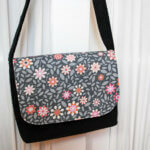 Don’t you love this fabric? 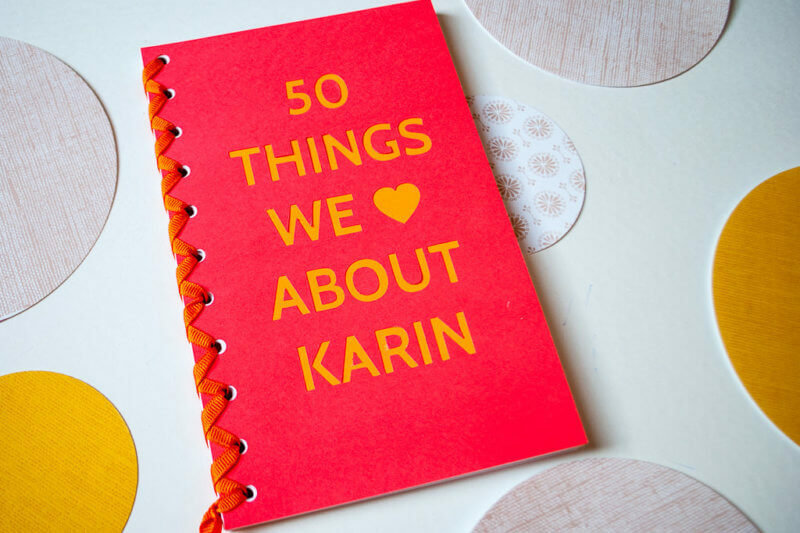 It’s from Jo-Ann Fabrics and Craft Stores. 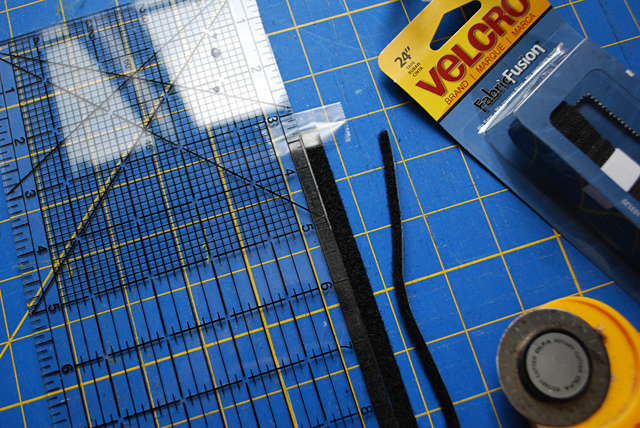 And thanks very much to VELCRO USA for providing the VELCRO® Brand fasteners. EEK! 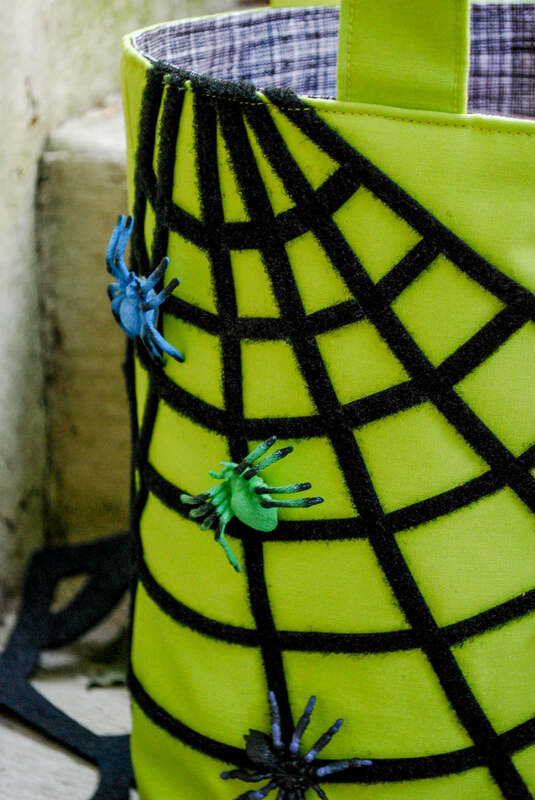 THE SPIDERS ARE GOING FOR THE CANDY!! Whew! Luckily, we clearly have a bag full of it. Don’t worry, spiders. We’ll share. 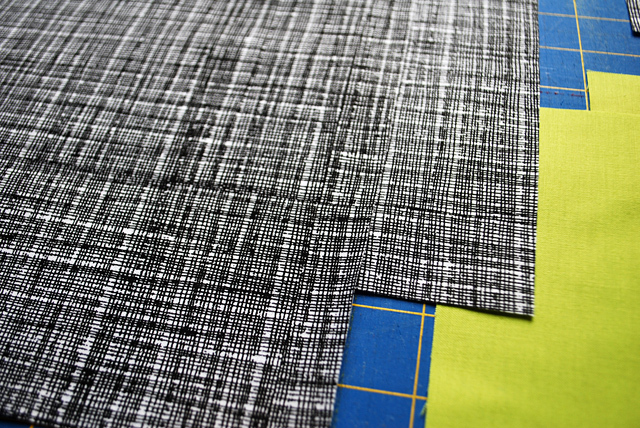 Had to take a close up of this mini crosshatch fabric. I love it. Mark a tiny mark on the top of the trick-or-treat bag outside 2-1/2″ from the left and right sides. 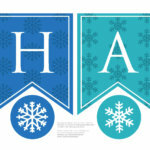 Do this on both outside pieces. It marks where the bag corner is going to be. 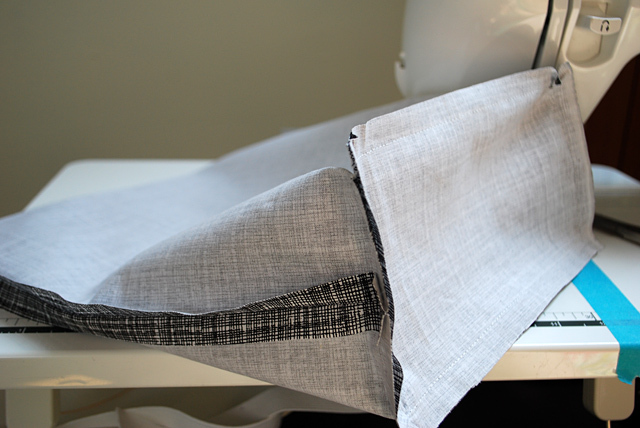 Sandwich the trick or treat bag pieces in this order: interfacing (my drapery lining “interfacing” is shown here), outside pieces right sides together, and the the other piece of interfacing. 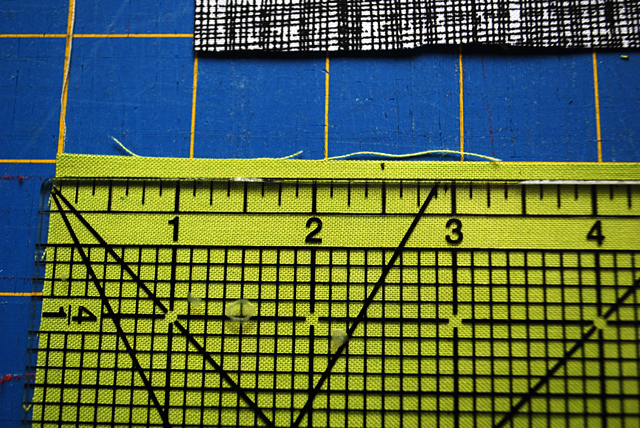 Sew 1/2″ seams on left and right sides. 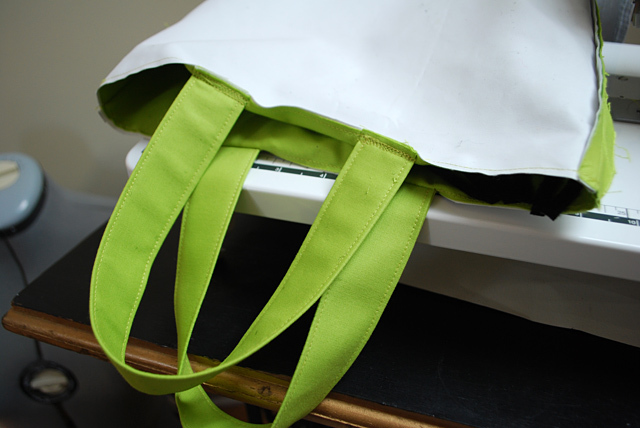 Baste around the top and bottom to make the trick-or-treat bag easier to work with later. 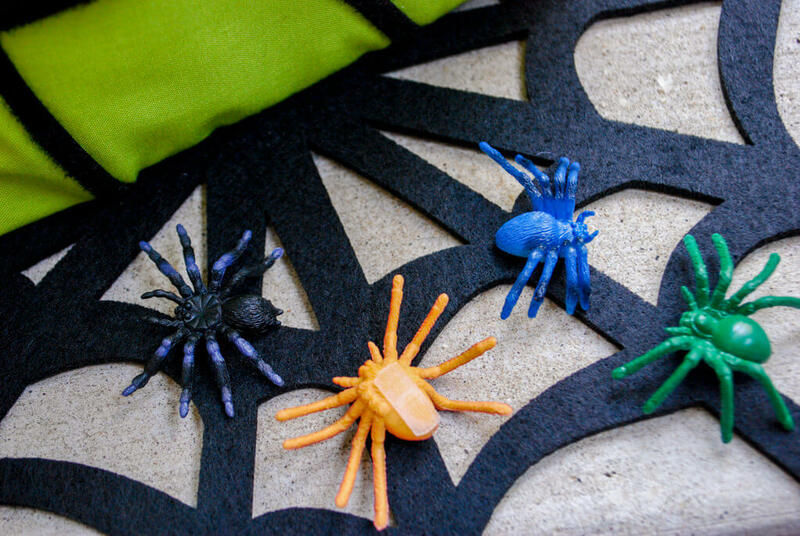 Now you’re going to cut VELCRO® Brand Fabric Fusion fasteners into thin strips to make spiderwebs. 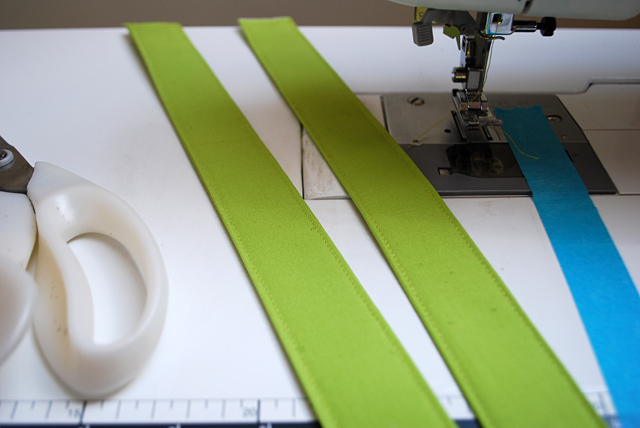 Grab the loop (soft) side of the fasteners. 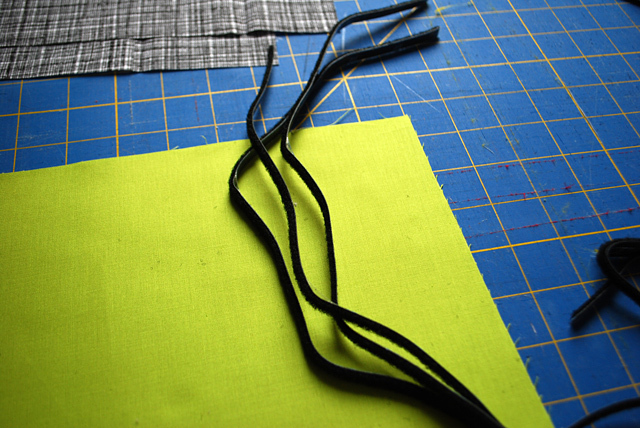 Tape the ends onto your self-healing mat. 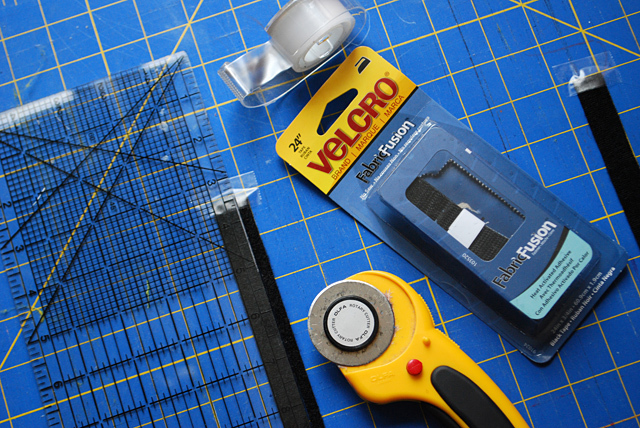 Run your rotary cutter down the edge of your ruler (slowly so the VELCRO® Brand fasteners do not shift). 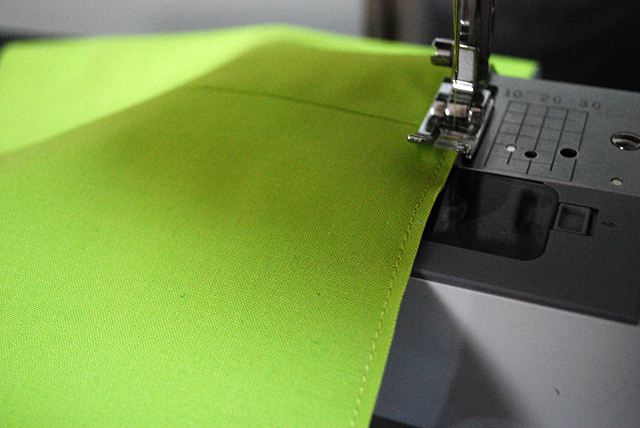 If you’re using VELCRO® Brand Fabric Fusion, you may get some adhesive on your rotary cutter that you’ll need to scrape off. 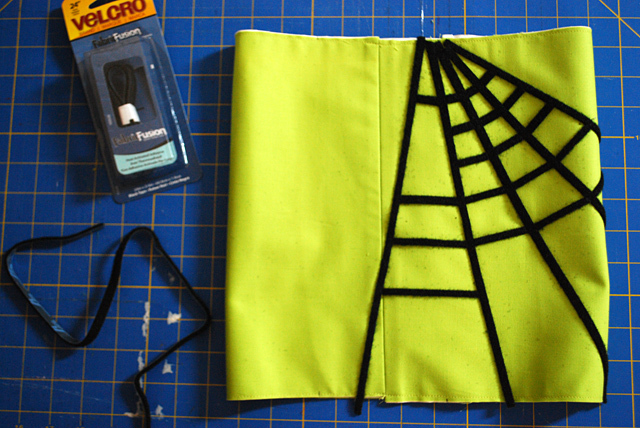 Peel, stick and cut your webs. Here’s my sketch of what I was going for. 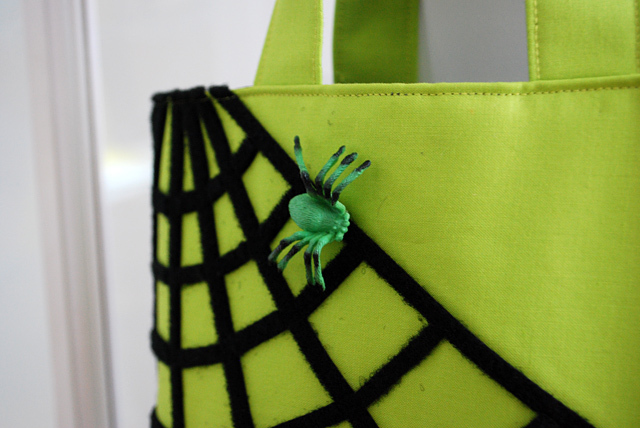 Make your webs go around the bag. 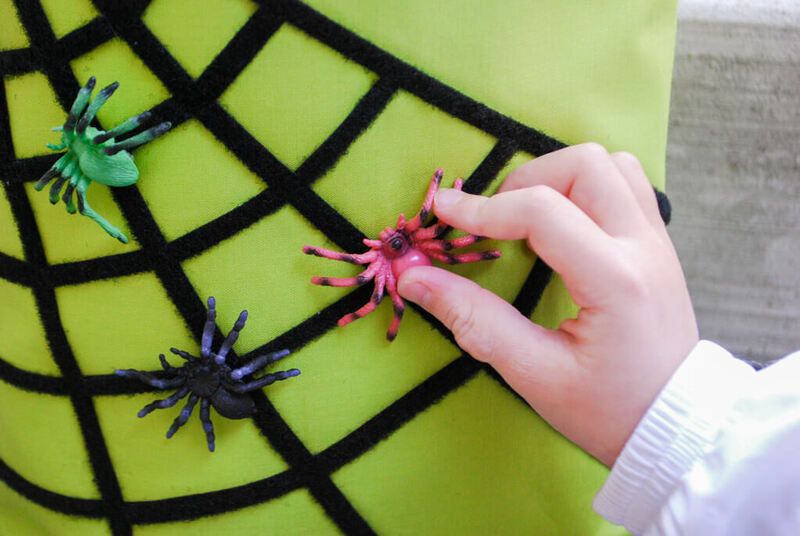 Now if you are using VELCRO® Brand Sew-On Fasteners then you’ll want to sew down your webs each time before adding on another piece. 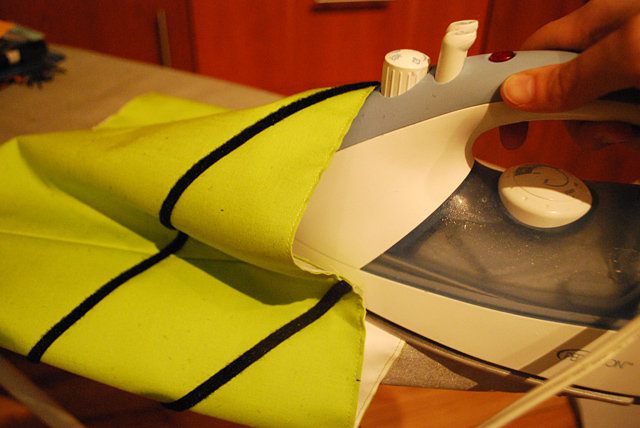 I used the iron-on VELCRO® Brand Fabric Fusion though for this. Now start doing your cross pieces. I did this during nap times so I put heavy books on them between sessions so that they wouldn’t move. 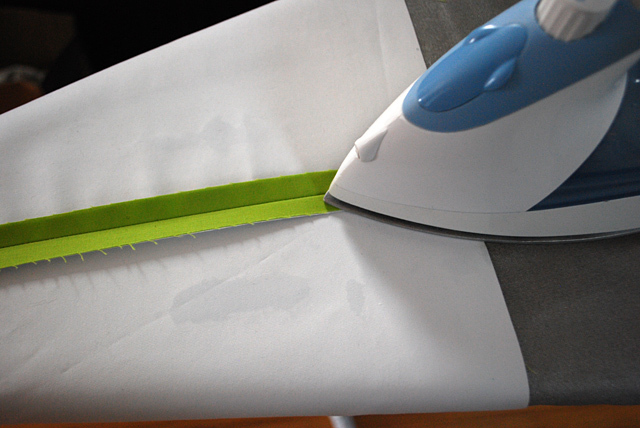 OK, now time to iron to set that adhesive on the VELCRO® Brand Fabric Fusion fasteners. Follow the package instructions and get that iron super hot! Webs are done. 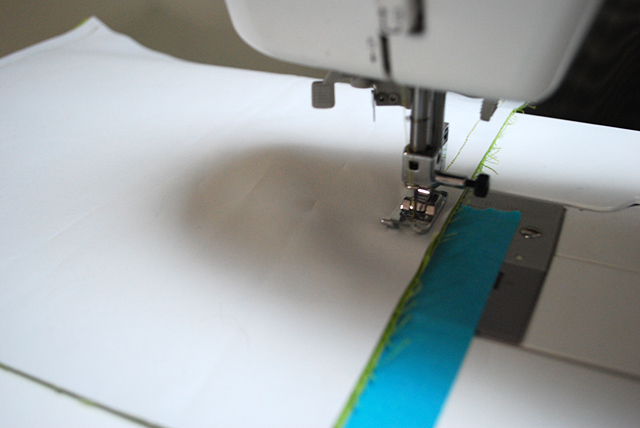 Time to sew. 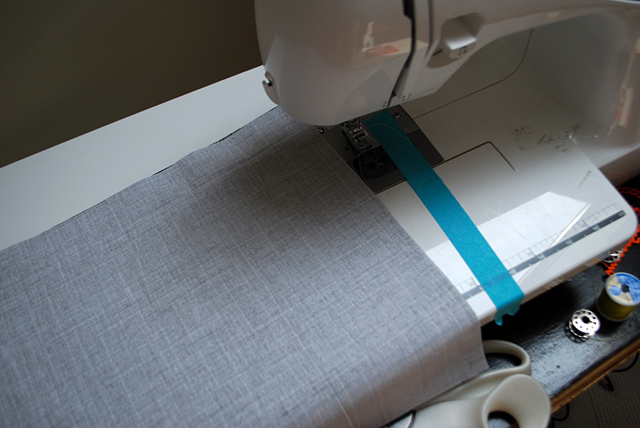 Put your lining pieces right-side together and sew 1/2″ side seams. Take your bottom piece, fold it in half. 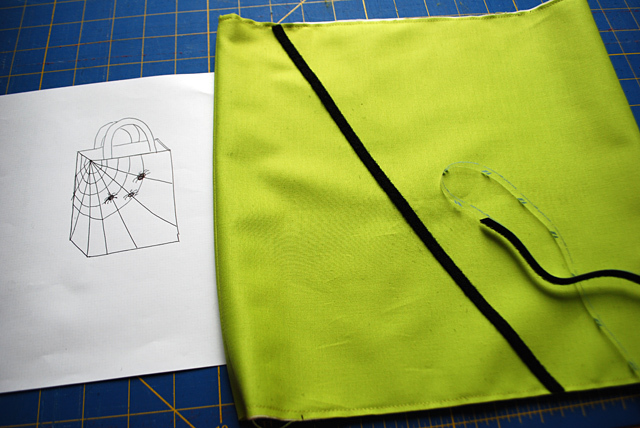 Fold your bag in half so that you can match the centers. Pin one side. 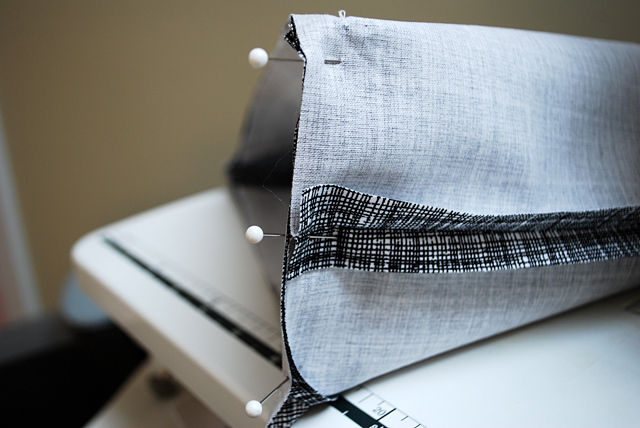 Sew it and then pin the other side and sew it too. 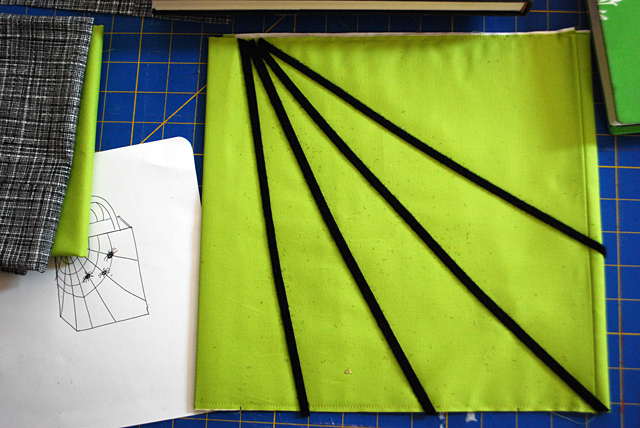 Now sew the two short sides. Here’s your bottom. 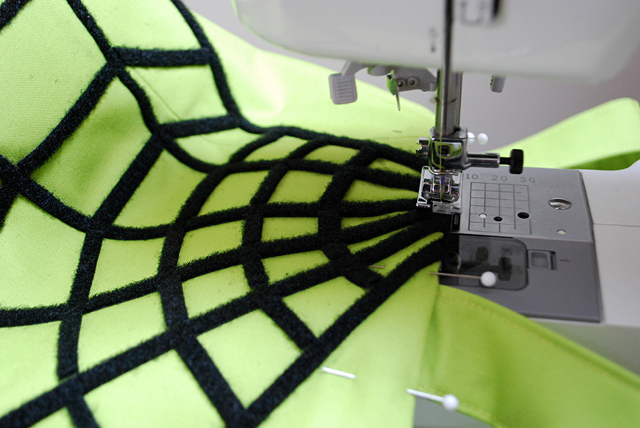 Now repeat the same steps to put your outside bottom in, making sure to sew carefully through your VELCRO fastener webs. 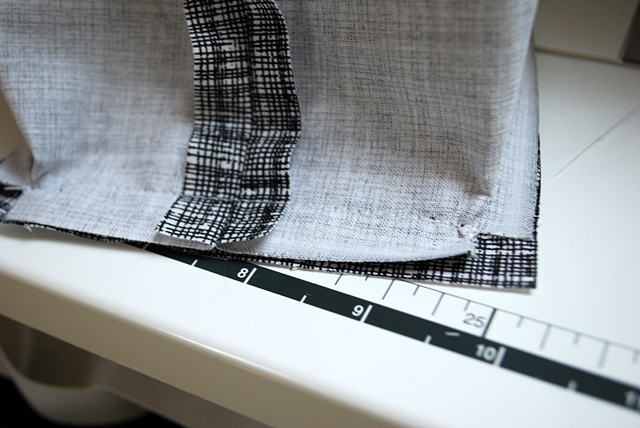 With the lining and outside wrong-side out, match the bottoms and sew one long side. 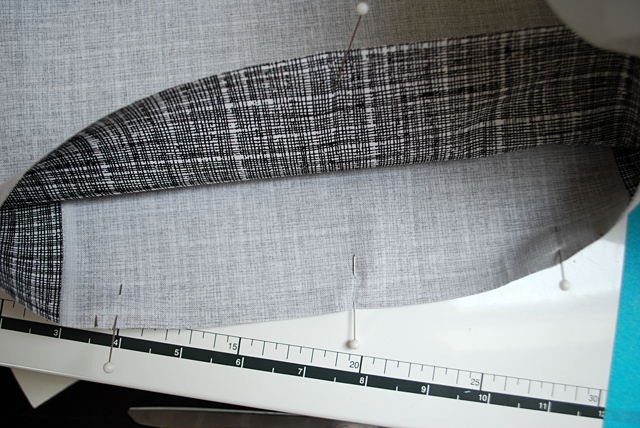 Then sew the other long side. 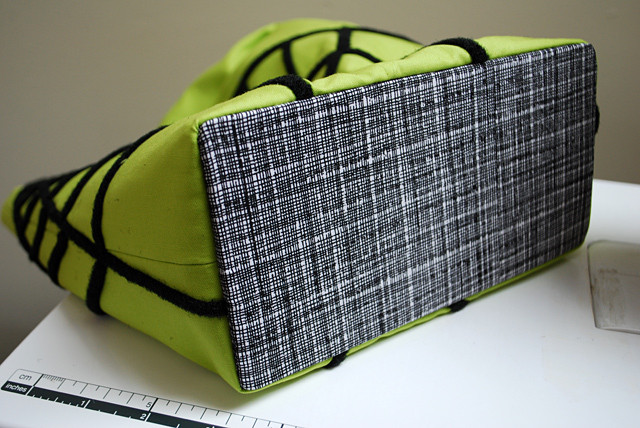 Cut a piece of plastic (I used to use industrial plastic when I made handbags for sale, but you can use like a Trapper Keeper, or just cardboard like I did this time – just know if you use cardboard that you can’t get the bag wet). Slip the plastic/cardboard between the bottoms. 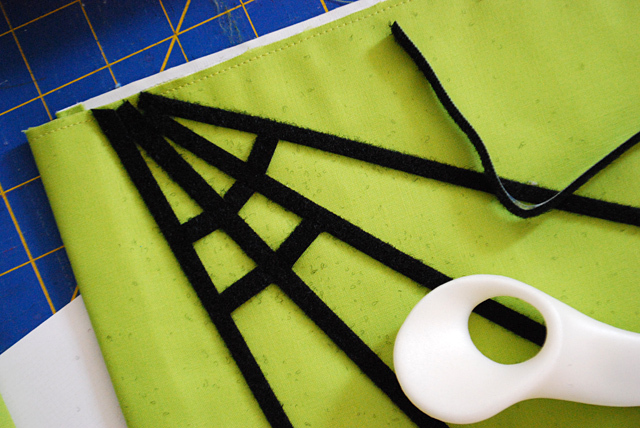 And sew the ends to enclose it inside the trick-or-treat bag. Now for the trick-or-treat bag straps. 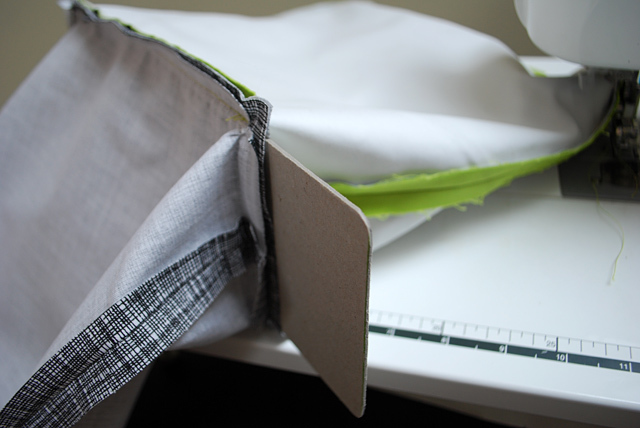 I put interfacing in the middle here to make it a little more substantial. 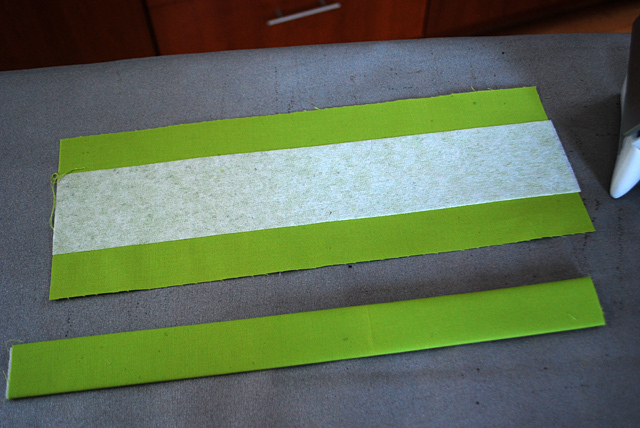 Fold it in half, then fold those halves in half again (like the bottom of these two straps) and iron. Sew close to the edge. 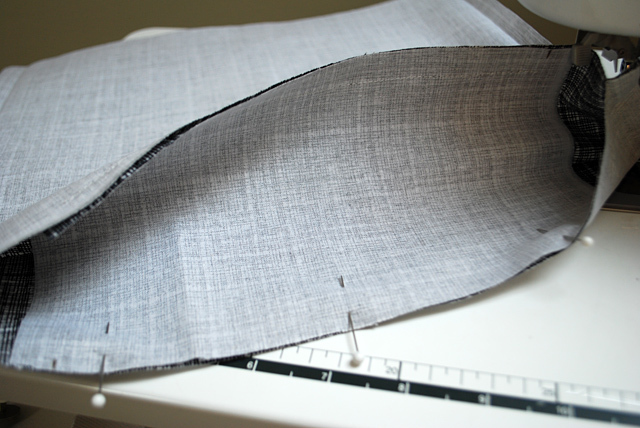 A little trick – sew the open edge first, then the folded edge. 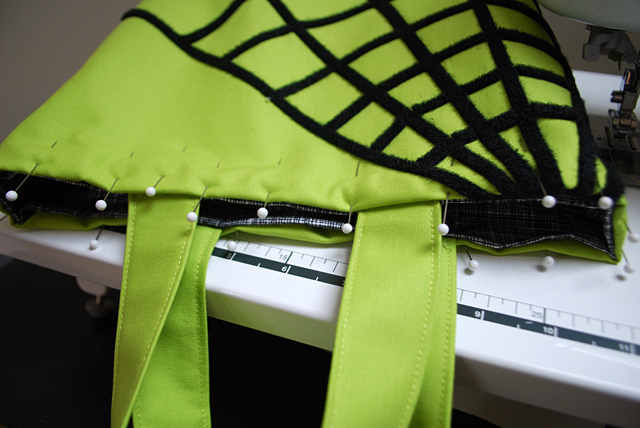 Pin the straps onto the trick-or-treat bag, right sides together, and sew close to the edge to secure. 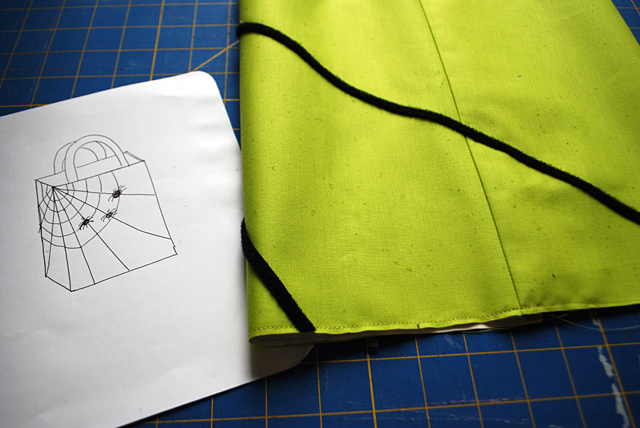 Turn the DIY trick-or-treat bag right side out. Here’s that cute bottom. 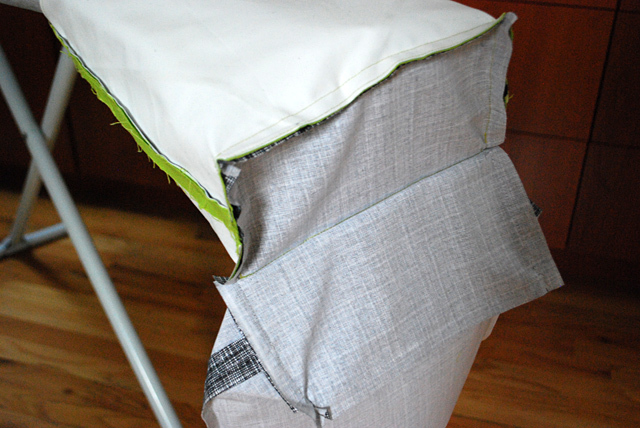 Fold down the outside 1/2″, and fold down the lining 1/2″ and pin together. 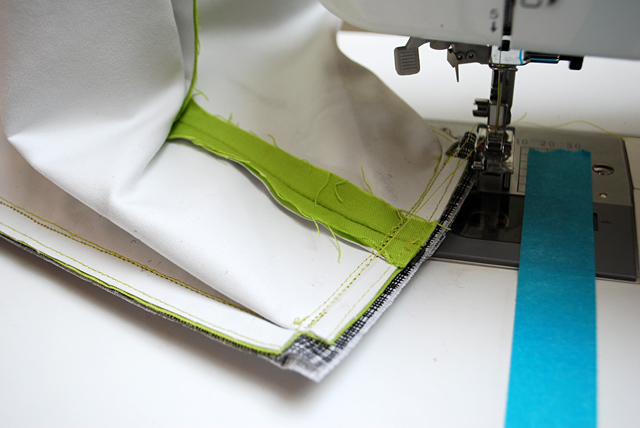 Sew close to the edge, making sure to catch the lining as you sew. 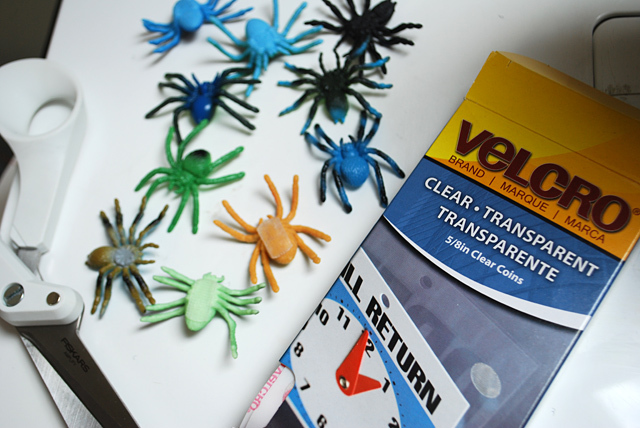 Cut some VELCRO® Sticky Back hook (scratchy) side and stick onto the back of your spiders. I used the round coins and just sliced off the sides. 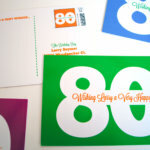 Stick it onto your DIY trick-or-treat bag. 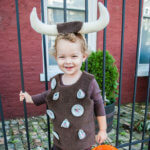 Now put on a costume and start knocking on doors! Feeling inspired? 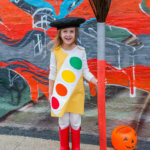 See more DIY Halloween craft projects, costumes, and DIY treat bags. 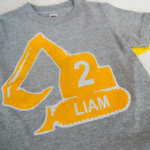 OMG this is so cute! 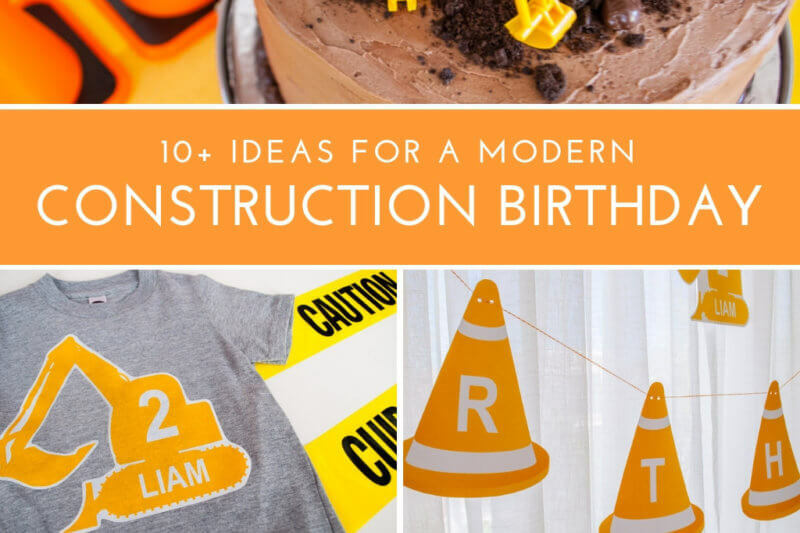 I saw it on Pinterest – it’s very creative and my son would love it! He likes Spider-Man so I will make a red version. Thanks! Love this. 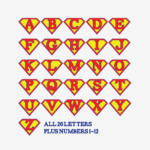 Super cute idea.. Saw you on CraftGawker. 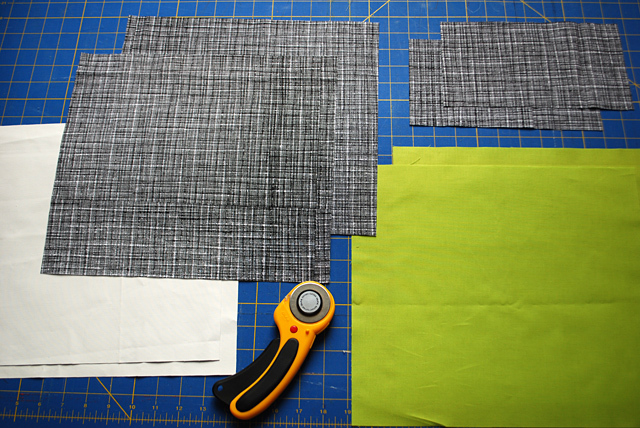 Is the black fabric from Carolyn Friedlander? Great idea! Love the Velcro!